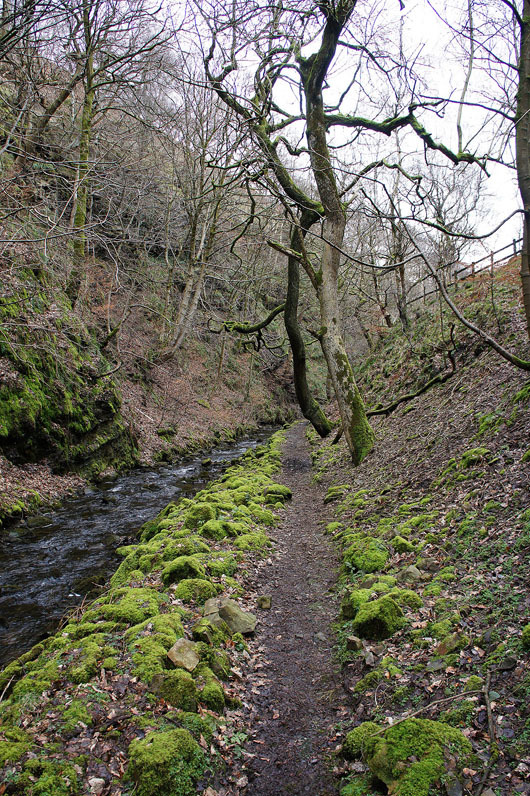 A late start for my walk today. 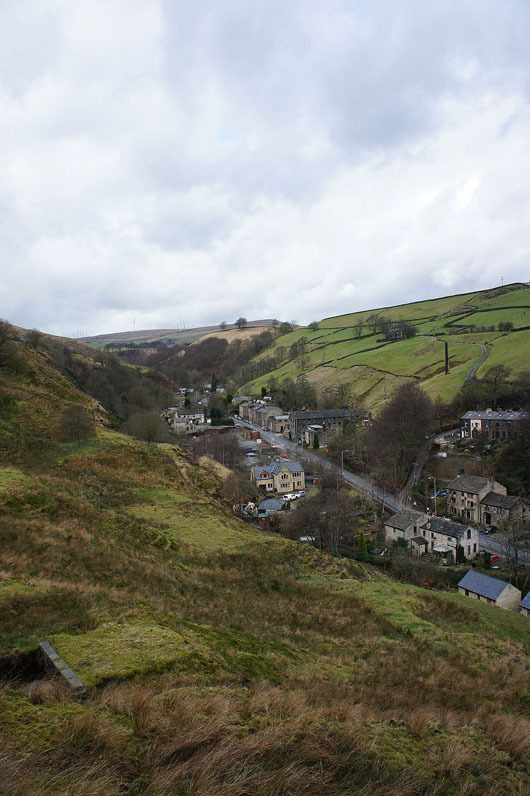 The weather was better than forecast and I hadn't really made any plans, so it was 1130 when I arrived in Gauxholme after the short drive across from Rossendale. 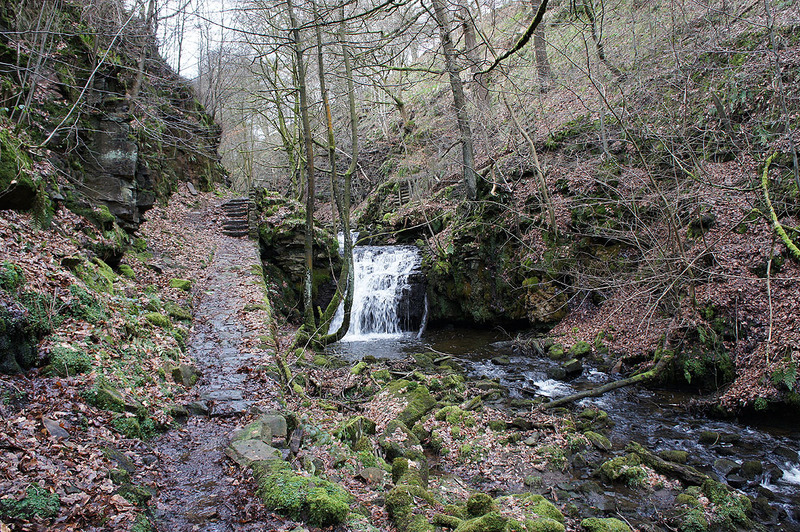 Freeholds Top and Gorpley Clough were places I had never visited before but after todays positive impression I'll do this walk again. 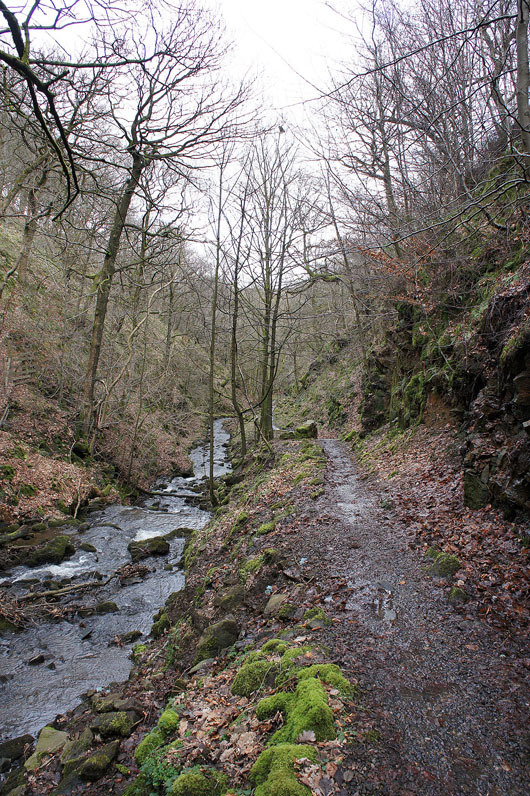 The sunshine of earlier in the day had disappeared by the time I reached Gorpley Clough, I think having it shining through the trees would have made the walk down even better. 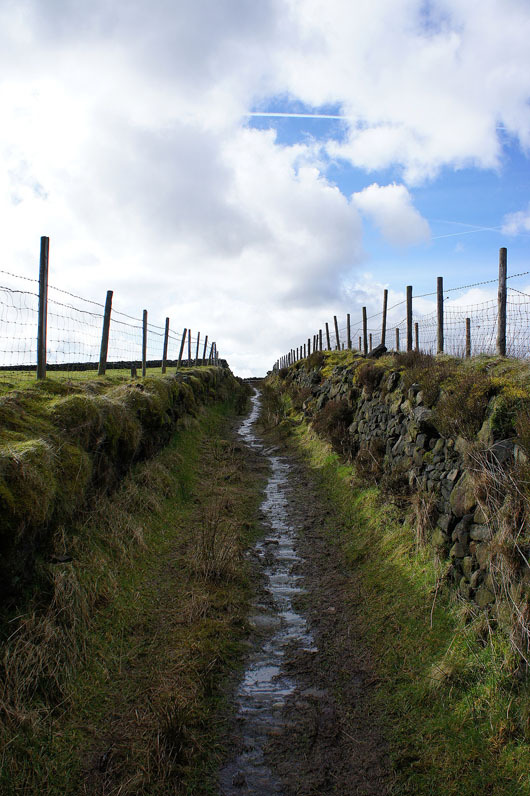 From Gauxholme there was a steep start as I followed a track up and across the moor to the bridleway of Foul Clough Road. 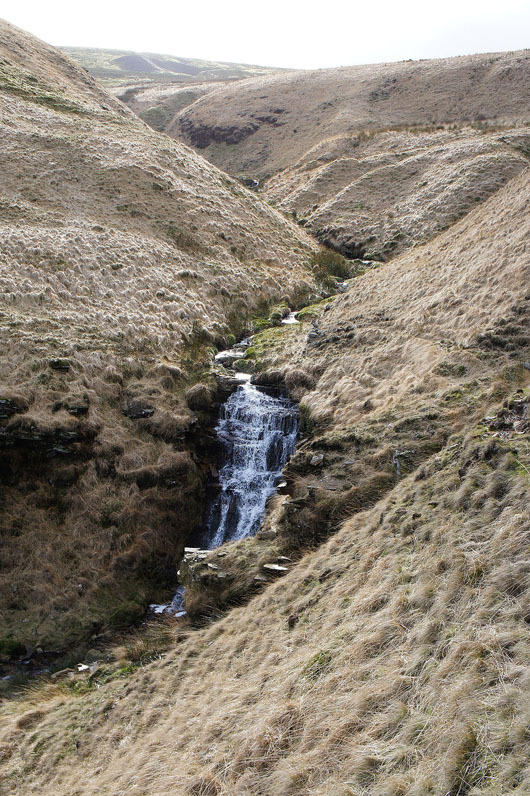 I left this when I was above Ramsden Clough to head for the summit of Freeholds Top. 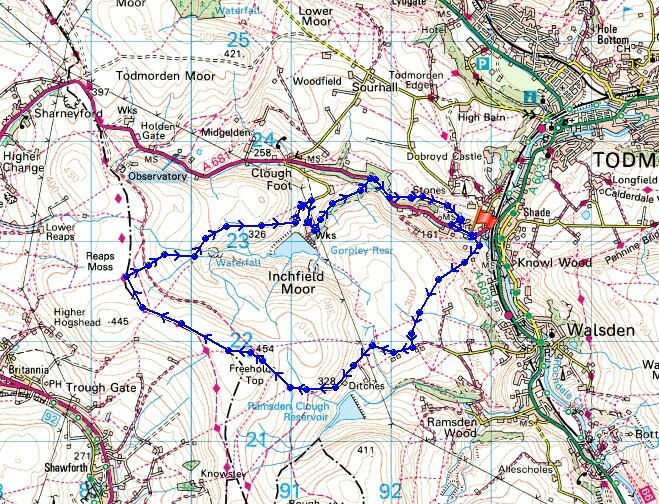 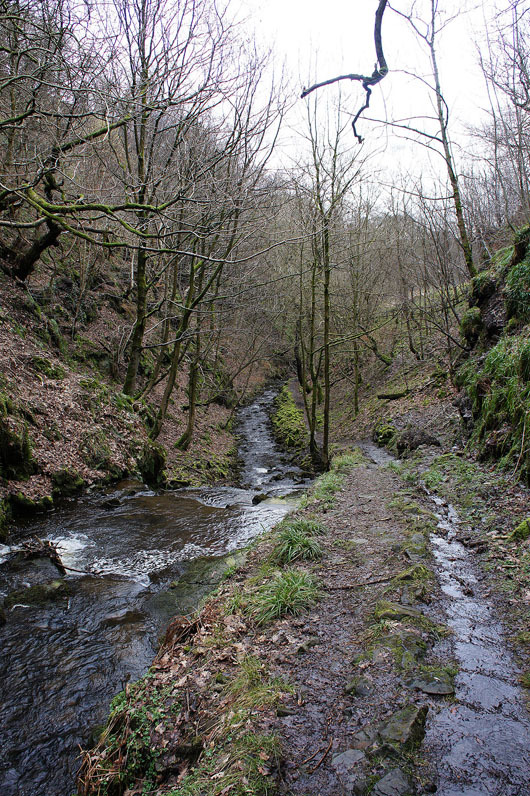 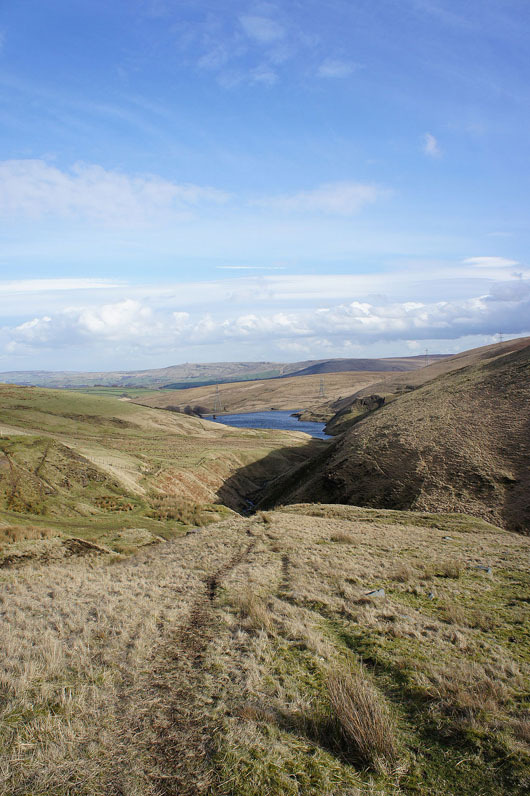 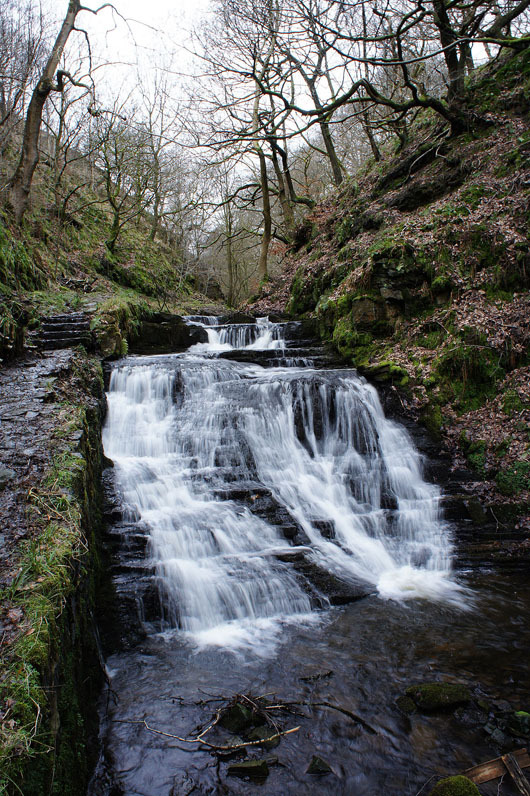 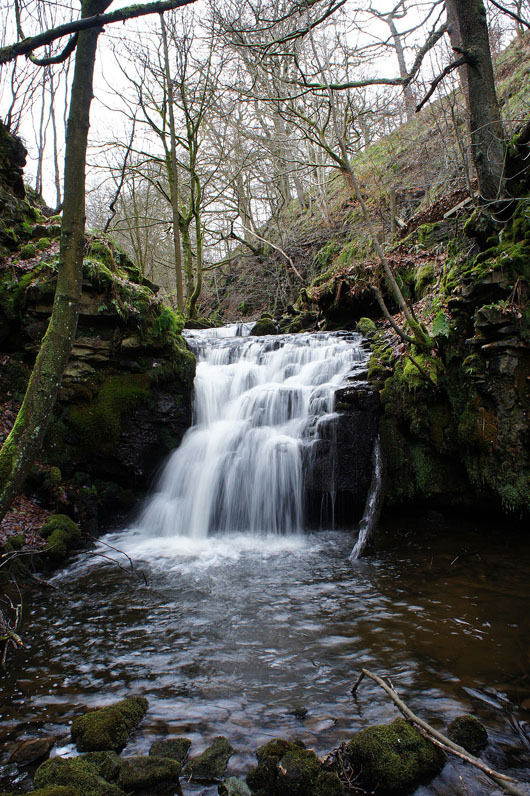 I then followed the watershed to the northwest before taking the path down to Gorpley Reservoir and into Gorpley Clough. 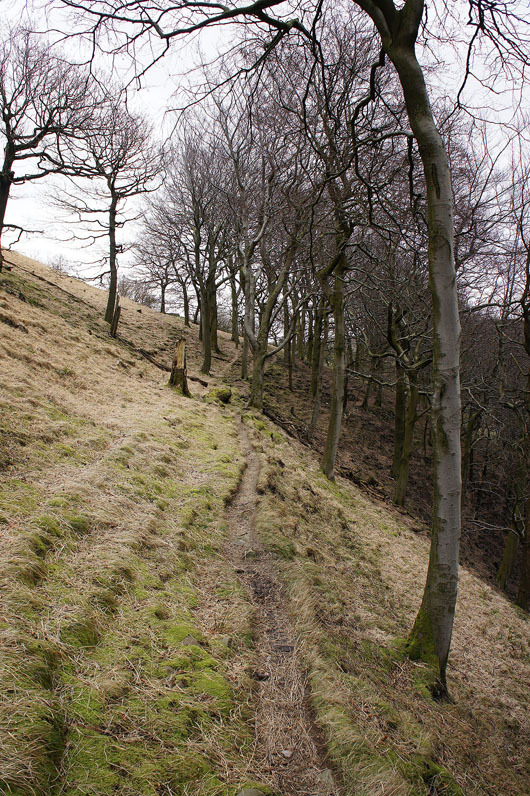 At the end of Gorpley Clough I crossed the A681 to Stones Wood and the path back into Gauxholme. 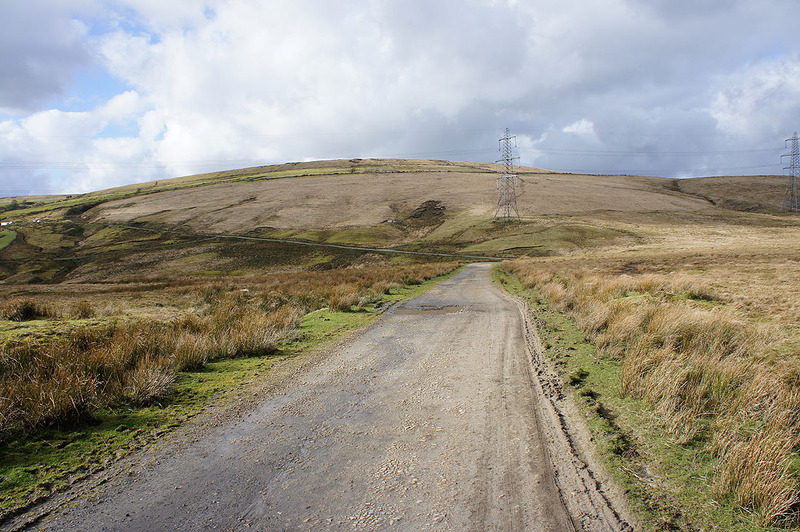 Up on the moor and I'm heading for Foul Clough Road. 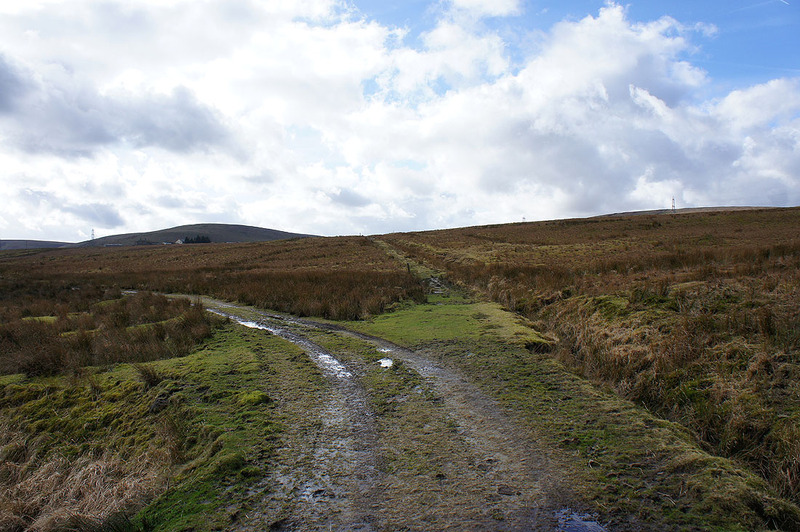 It's straight ahead at this junction. 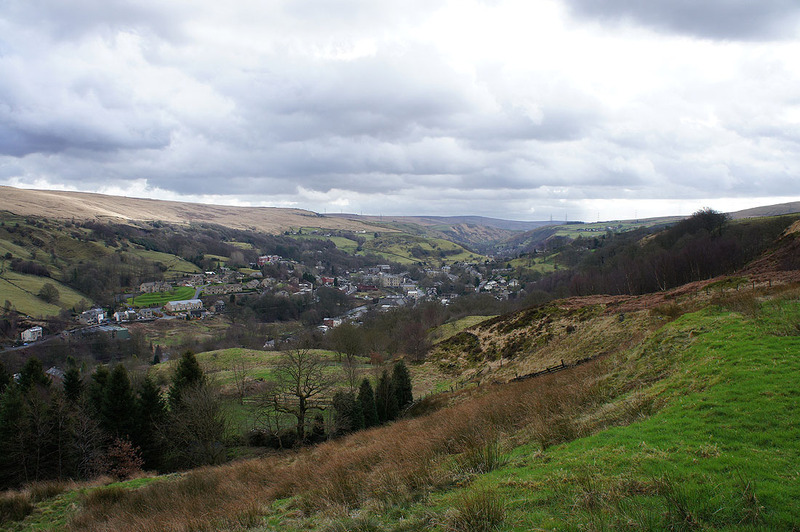 Turning around to look back down into Calderdale. 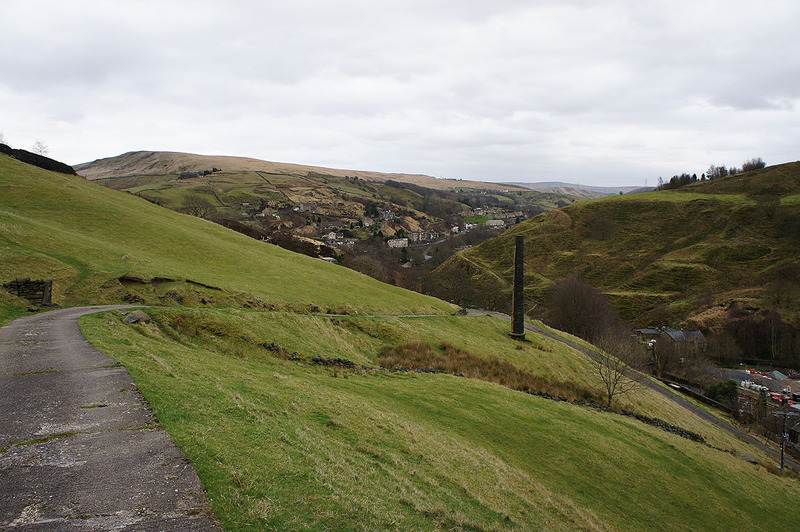 The Stoodley Pike monument can be seen on the hillside on the right. 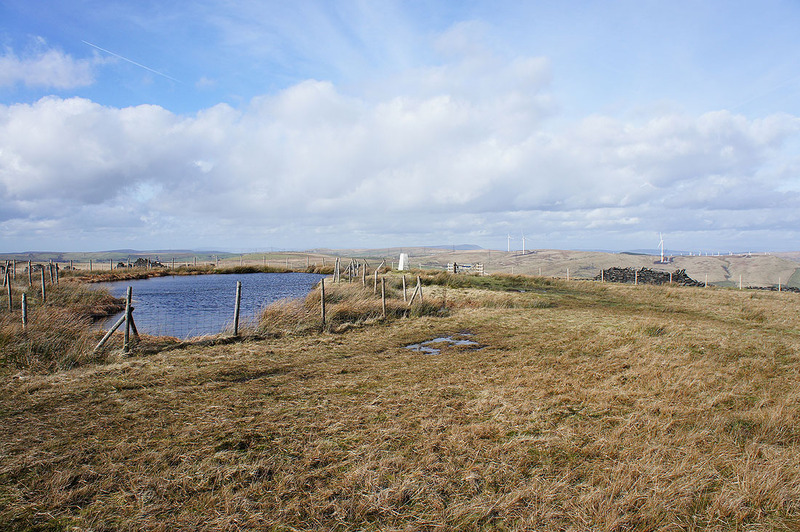 On the summit of Freeholds Top with its fenced off pool. 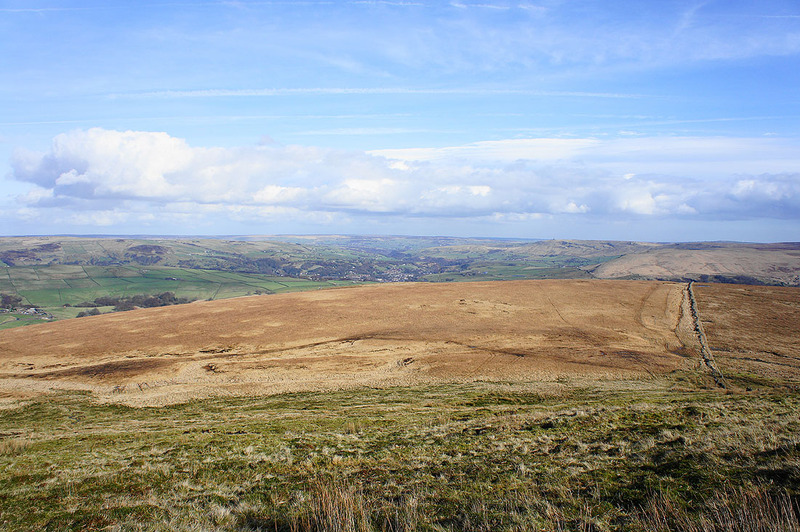 The outline of Pendle Hill can be seen in the distance. 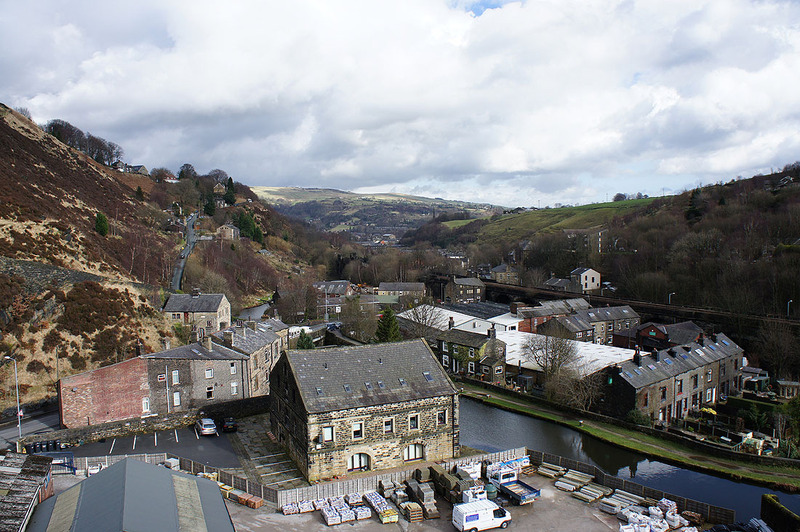 A great all round view today. 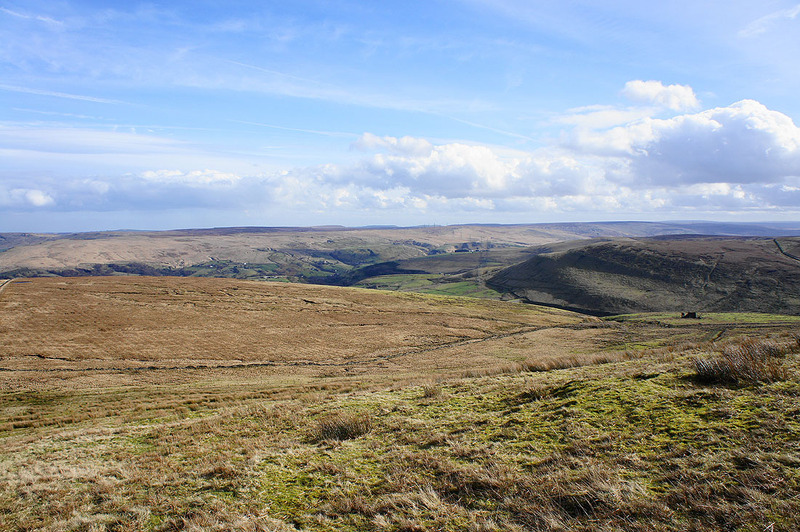 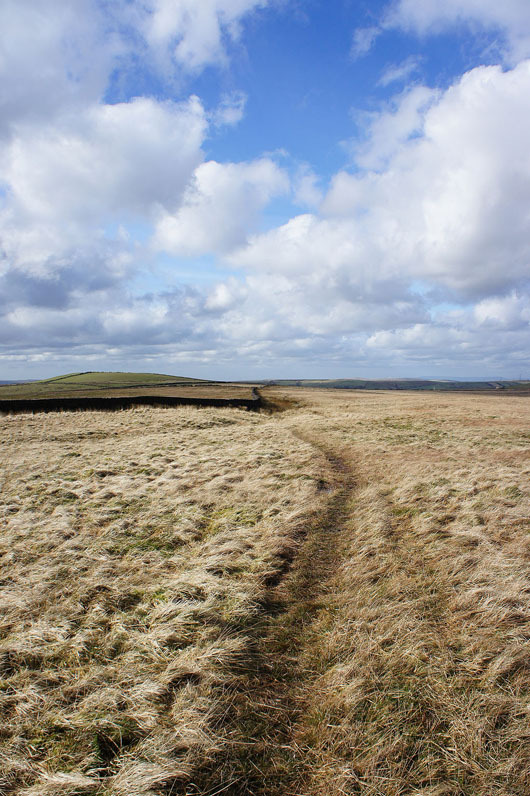 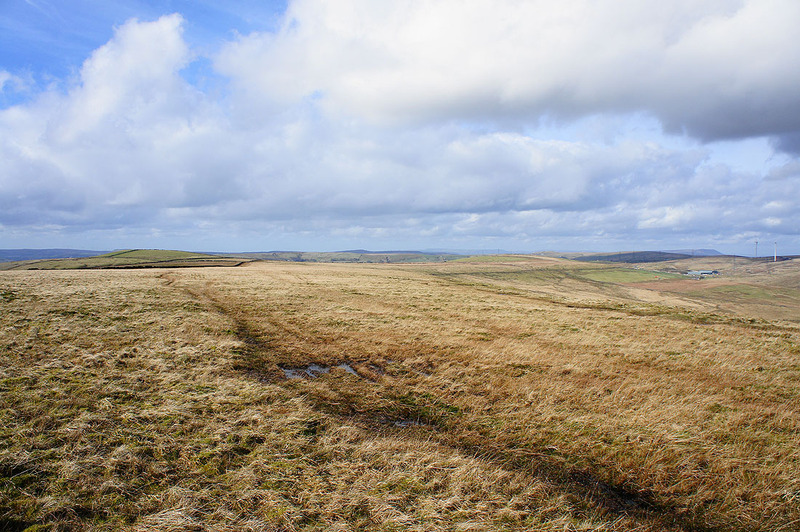 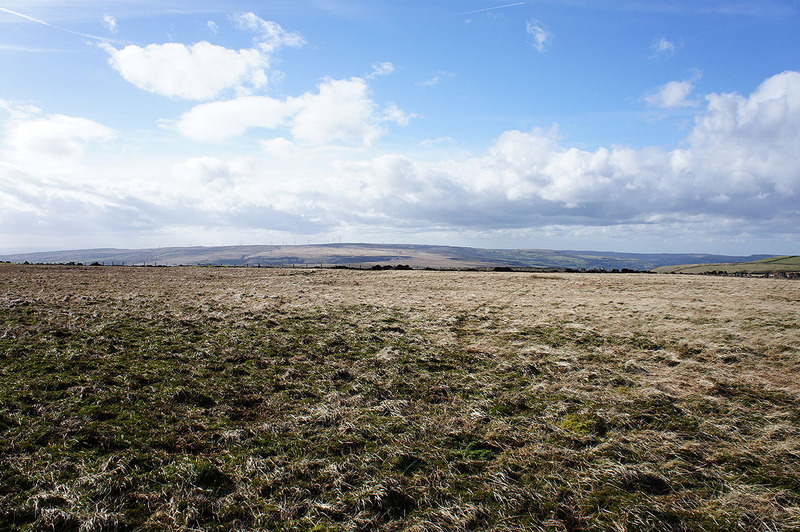 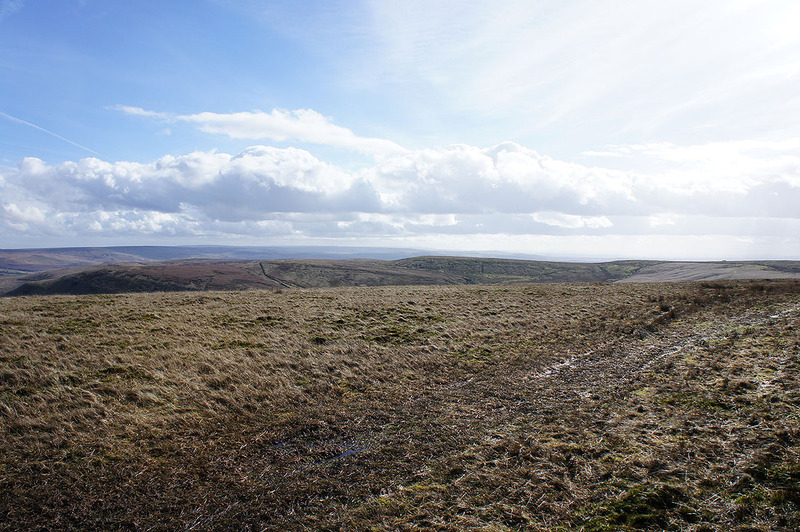 The moors of the watershed stretch away to the northwest. 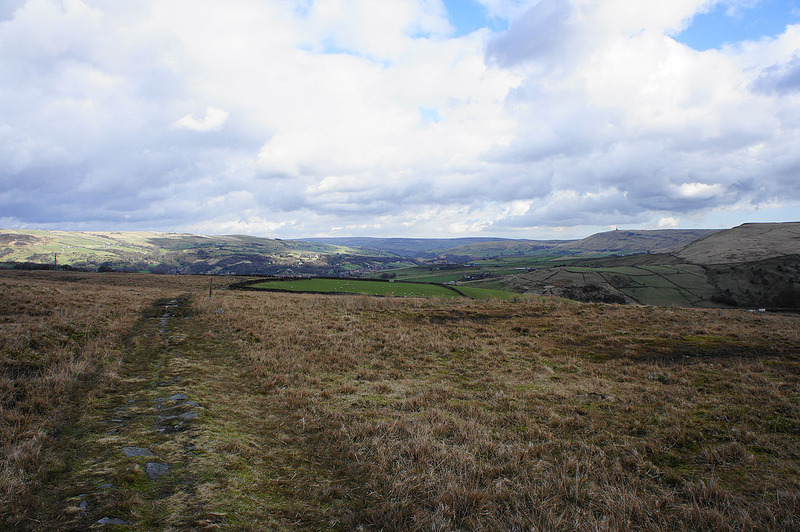 Todmorden Moor, with its new windfarm going up and Hoof Stones Height to the north. 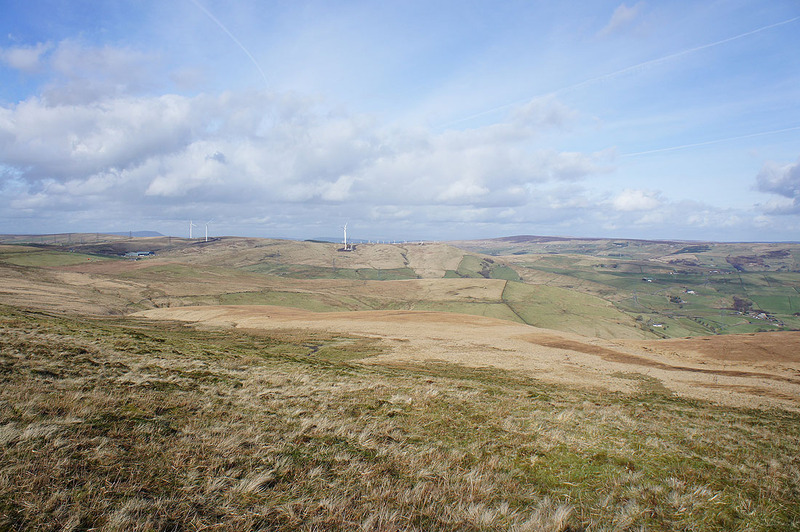 This new addition to the landscape makes it five windfarms that are visible from here. 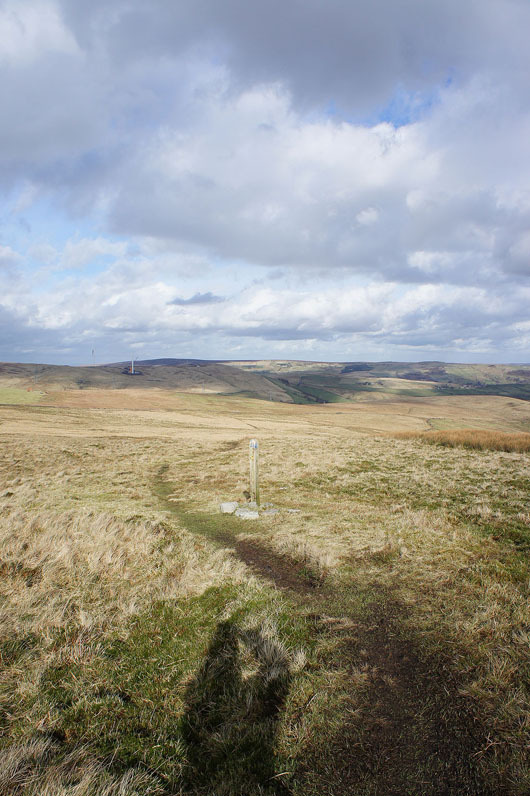 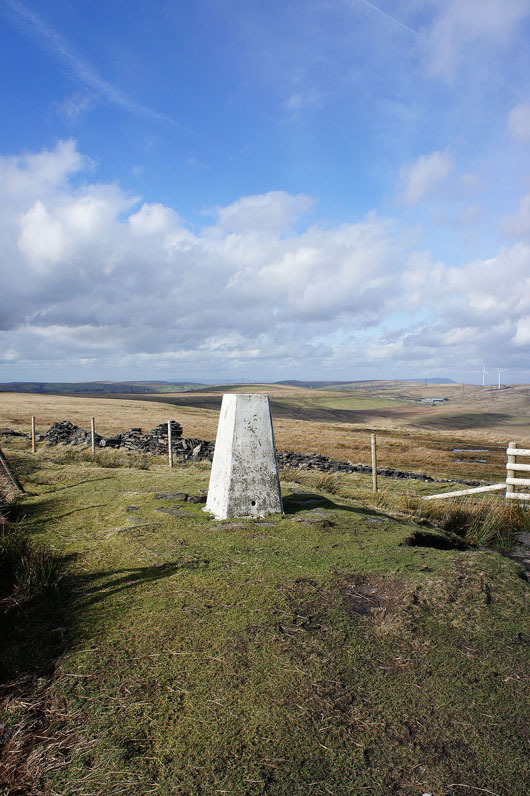 The others are Scout Moor and Oswaldtwistle Moor to the west, Coal Clough to the north and Ovenden Moor to the east.